The bill allows voters to automatically be registered to vote through an electronic process when applying for a driver’s license or state ID, unless they opt out. The Automatic Voter Registration bill allows voters to automatically be registered to vote through an electronic process when applying for a driver’s license or state ID, unless they opt out. Several sources tell NBC 5 that Gov. Bruce Rauner had planned to sign the new Automatic Voter Registration bill last week during the Rainbow PUSH Coalition Convention, but at the last minute the event was cancelled. Repeated questions to the governor's communications team have not been answered, but those who support the bill expect him to sign it. "We believe [the governor] is still considering signing it, and we are working to be in touch with his office. We have no reason to think he won’t sign it," Abe Scarr, director of Illinois PIRG, said. The governor signaled his intention to sign the bill, but he's in the midst of overhauling his staff. The point of contact for those who supported the bill is no longer at the Governor's office, and there are now questions if his new team approves. Last year Rauner vetoed similar legislation but changes were made and Senate Bill 1933 unanimously passed through the General Assembly. The governor has up to 60 days to sign or veto the legislation. 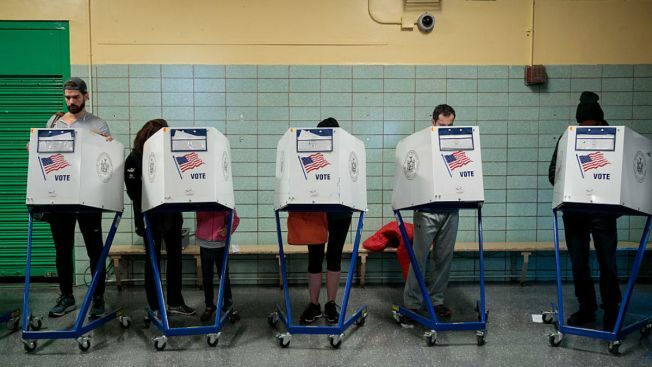 The bulk of the Automatic Voter Registration program would be run through the Secretary of State’s Office with implementation required by next summer. A spokesman for the Secretary of State’s Office told NBC 5 earlier this month that while it is optimistic the new program would increase voter rolls, finding money for the computer upgrade is a concern. The effort to automate voter registration was pushed by the Just Democracy group, which is made up of dozens of government, voting rights and immigrant community organizations. They estimate there are two million eligible, unregistered voters in Illinois. Advocates said the automatic registration process also protects against fraud. Its implementation is tied to the federal Real ID system, which allows the Secretary of State’s office to screen out non-citizens.